The free, collaborative, multilingual internet encyclopedia, is usually a non-partisan source of openly sharing information in a rational way. However, it's stance has swiftly switched into self-defence mode in response to the emergence of the possibility of the US Senate passing certain bills into law that would greatly impact upon 'Pedia's nature to freely display informative content for all. Therefore, a 24-hour shutdown of the site is in process in protest against these proposals, and as an example of what could happen as a result of said laws being enforced. The bills in reference are SOPA and PIPA. 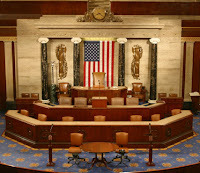 SOPA (Stop Online Piracy Act;House Bill 3261 or H.R. 3261) and PIPA (PROTECT IP Act; Senate Bill 968 or S. 968) are acts that gives the US Government and copyright holders the power to set out to drastically limit the access to websites that are infringing upon copyrighted material known as IP (Intellectual Property). These bills are very similar in nature in that they're both anti-piracy based, but PIPA is in further stages of discussion to being passed as its reached the US Senate whereas SOPA is just at the US House of Representatives. Alice Marwick's article What’s the difference between SOPA and PIPA? briefly explains the bills in a brief but more detailed manner. The beef Wikipedia has with these bills is that it feels that they limit free speech on the internet. The potential and scope these bills is staggering. To put things into perspective; a site like YouTube could be seriously hampered as to what its allowed to show if a single uploaded clip has copyrighted material on it. To take things to another level, it's not just websites that can be targeted but us the general public ourselves. As Don't Tread On Mike explains: But the scariest provision of all, for me, is the felony streaming provision. Under SOPA, the person who uploads the copyrighted content could be charged with a felony and imprisoned for 5 years. This provision even includes public performances. Let me make that clear for you. If you post a video of yourself singing a copyrighted song on youtube, you could be charged with a felony and go to prison for 5 years. If you post a video of your 9 year old daughter’s recital where they sing a copyrighted song, you could be charged with a felony and go to prison for 5 years. You don’t even have to upload the actual song. Just by singing the song yourself on youtube could make you a felon and earn you 5 years in prison. So, the SOPA and PIPA bills are centred on combating anti-piracy and copyright/IP infringement on the internet; but it could certainly progress into the real world. Imagine a world when you can no longer enjoy singing your favourite Justin Bieber tune out loud for fear of being arrested for "illegally" "sharing" copyrighted content (for the record; although having the guilty pleasures of singing cheesy songs in the shower on numerous occasions, AYTD would never sing a Justin Bieber song out in public... honest. Incidentally, Don't Tell Mike notes that: "As people have been recently pointing out, if this had passed earlier, Justin Bieber would be a hardened criminal by now. Those of us who didn’t follow his meteoric rise to fame (darn, I must have missed it) may not know that he originally got discovered when he posted a video of himself singing a Chris Brown song on youtube. )".